For the past week, Sunshine’s bedtime story of choice has been The Baby Bible Christmas Storybook. Written by Robin Currie and illustrated by Constanza Basaluzzo, this little board book is a beautiful retelling of the Christmas story. The Baby Bible Christmas Storybook has cute illustrations, brief prayers and actions for children to do while the story is read. The Baby Bible Christmas Storybook was provided for review courtesy of the B&B Media Group; all opinions expressed are my own. This post contains affiliate links. The Baby Bible Christmas Storybook starts with “Mary’s Secret” and goes through the story of Joseph’s dream, the trip to Bethlehem, Jesus’ birth, the shepherd’s arrival, and the wise men’s gifts. It ends with “Our Christmas,” a page applying all this story to the child’s life. At the back of the Bible are suggestions for “Baby Bible Moments Together,” such as singing and discussing favourite Christmas carols with your child. Put Actions to the Christmas Story! Some of the actions require two hands and are hard to do while holding the book (or holding the book and a younger sibling while reading to an older child). Parents could pick and choose which actions to do with their child, depending on the child’s abilities and interests. 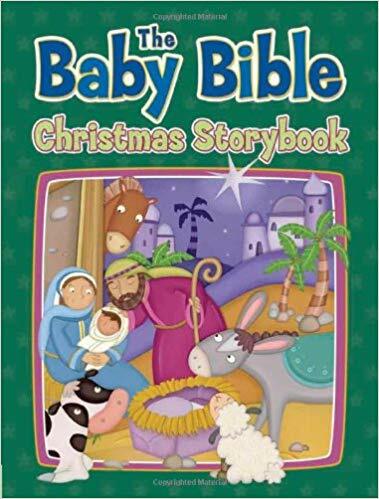 The Baby Bible Christmas Storybook is part of a series from David C Cook that includes Baby Bible Stories About Jesus, Baby Bible ABCs, Baby Bible Animals, Baby Bible Sing and Pray, and other titles. The series is meant for children from birth to age three, but the stories are simple enough that older children may enjoy reading the book themselves. Any of the books would be great birthday or Christmas gifts. The Baby Bible Christmas Storybook would be perfect to add to a reading list as you celebrate Advent with your family. UPDATED: eight years later, The Baby Bible Christmas Storybook still comes out of the box every Christmas. It remains one of our favourite kids’ Bibles to read with the youngest members of the family. Now, my older girls are reading it to their younger siblings, and helping them with the actions. It’s a beautiful Christmas tradition. Robin Currie grew up in Illinois before there was TV. She earned a B. Ed. and an MLS. Then she settled in Chicago where she edited preschool curriculum for David C Cook before working at Palatine Public Library. 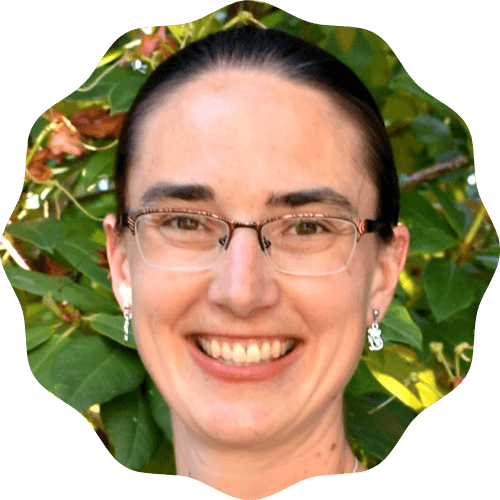 Called to ministry in midlife, she attended seminary for both her M. Div. and D. Min. degrees. She served as a pastor until retiring. Now Robin does only what she loves: reads to Headstart children weekly and serves as an associate pastor. She has volunteered, teaching English in far-flung places such as China, Tanzania, and India. Her family includes four grown children, five grandchildren, and one cat. 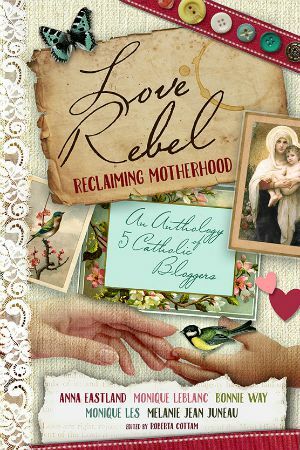 She writes stories like The Baby Bible Christmas Storybook to read and read again! Do you know a baby or toddler who would love reading The Baby Bible Christmas Storybook with you this Christmas?